Bundobust: from the Hindi band-o-bast (of Persian origin) meaning ‘tying and binding’. 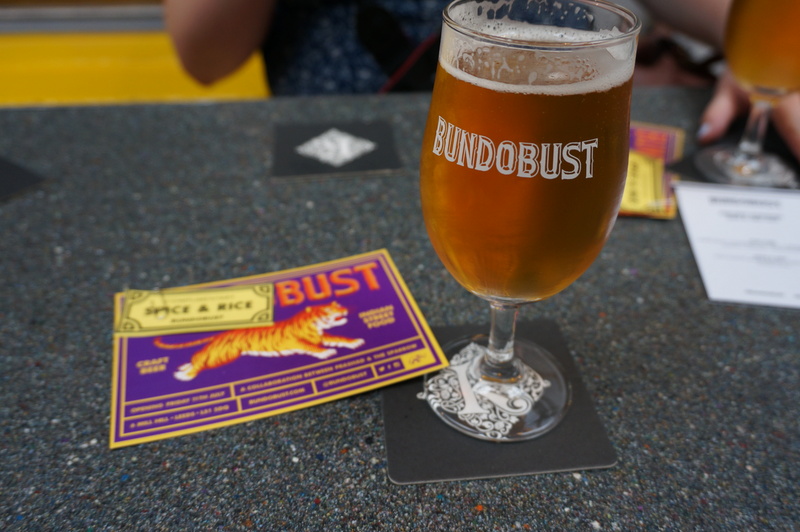 With a craft beer selection as good as this one, and vegetarian Indian street food as tasty and as innovative, Bundobust may well live up to its namesake and keep pulling you back for many a future visit. If you needed any other reason to visit, it’s handily close to the station to start your night out, too. 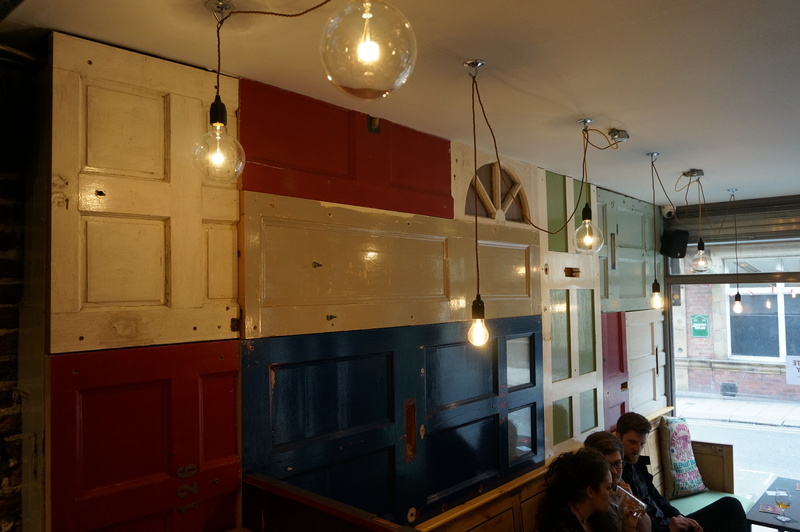 I was lucky enough to attend one of the preview nights at Leeds’ newest bar, on Mill Hill. 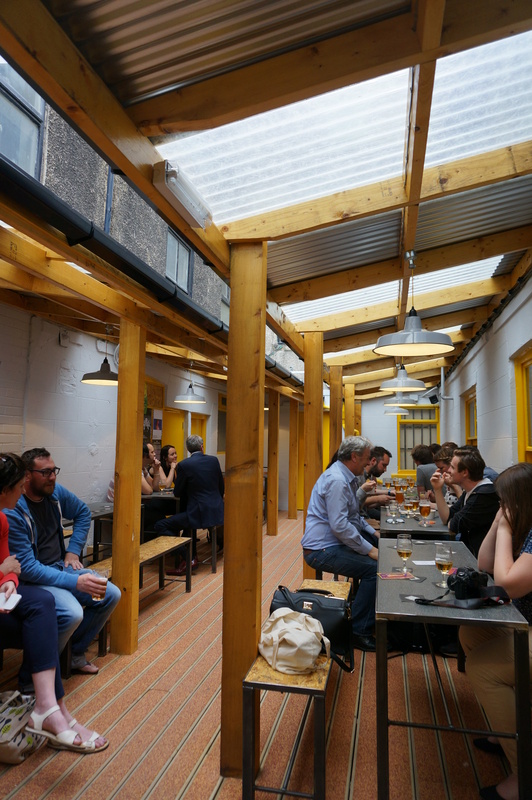 Officially opening this Friday 11 July, it’s sure to be a busy first few weeks, as the Bundobust guys have been the masters of building up anticipation and a loyal following, spreading the word about their newest street food addition to the block. A collaboration between The Sparrow, a successful craft bier café based in the Independent Quarter (North Parade) in Bradford, and Drighlington-based Prashad vegetarian restaurant (of Gordon Ramsay fame), Bundobust have been running various pop ups at Leeds street food festivals for the past six months or so. It all started back at The Sparrow, with pop-up curry evenings in conjunction with Prashad. Over the past few months, I’ve seen the old amusement arcade on Mill Hill slowly transform into a new hipster hangout during my walk to and from work. I couldn’t wait to step inside and see what co-owners Mark Husak and Mayur Patel have done to the place. Inside, it does remind me of The Sparrow – stripped back cool. The ‘wall of doors’ around the pew seating near the entrance is an unusual visual pull and the cushions upcycled from old rice sacks are a genius touch, too. There’s a large, covered outdoor seating area, just calling out for a sunny summer afternoon. But less of the décor, and more of the food. I sampled the Bhel Puri back at Bundobust’s pop-up at Belgrave Music Hall in March, and it was unlike anything I’ve ever had before: puffed rice, tamarind chutney, turmeric noodles, onion, tomato and samosa pastry. 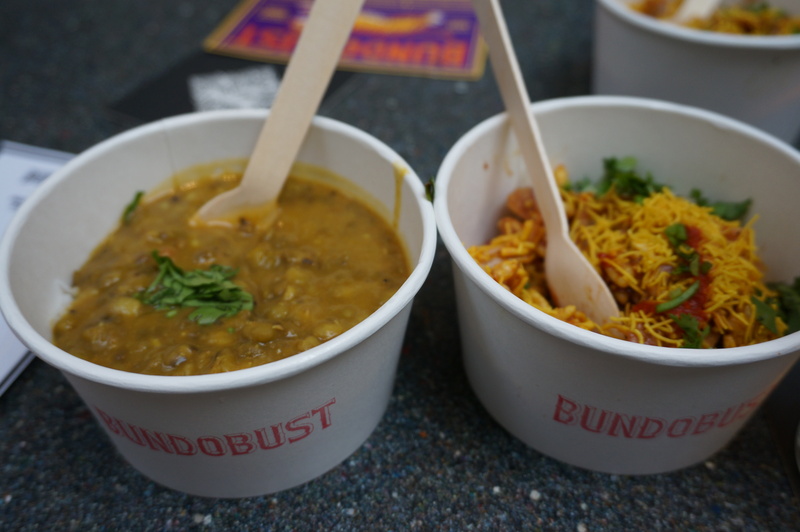 Luckily, Bundobust were serving this up again, this time with a separate portion of Spice and Rice: low and slow mung beans, garam masala and basmati rice. I’ve never tried mung beans before but they were delicious and the rice was fluffy and light. Both dishes were served in little ice cream-style tubs – the perfect size for an after-work street eat and beer. This is food on the move, and the McDonald’s-esque boards above the bar are a nod to this, albeit with a cheeky “Thank you please” Bundobust twist. The selection of craft beer is excellent: Coriander Pilsner is being added on tap, as well as Cannonball, Saltaire Gold, and Camden Pale Ale. And they were just the ones I can remember. Indian-style cocktails will also be on the menu and I can’t wait to return and try one. I’m really pleased to see this ever-so-slightly dingy street in Leeds being brought back to life with fresh yellow Bundobust paint and a cheery atmosphere. The forlorn, former Bar Censsa over the road is reportedly being done up soon too, and with these bars just around the corner from established favourites Friends of Ham, The Brewery Tap and Tapped Brew Co, there may well be a new quarter opening up to rival the success of the ‘Northern Quarter’ and Call Lane. Bundobust is going to be busting at the seams come next Friday – make sure you get down early.